When a file is deleted, actually its data isn't erased from disk. Normally, it is only marked as "Deleted" and file data and file name are still kept on the disk. Thus, as long as no new data is written in (i.e. deleted file is not overwritten by new data), the deleted file can be recovered through certain techniques. The deletion is usually caused by improper operations, virus and software (except file crushing software). 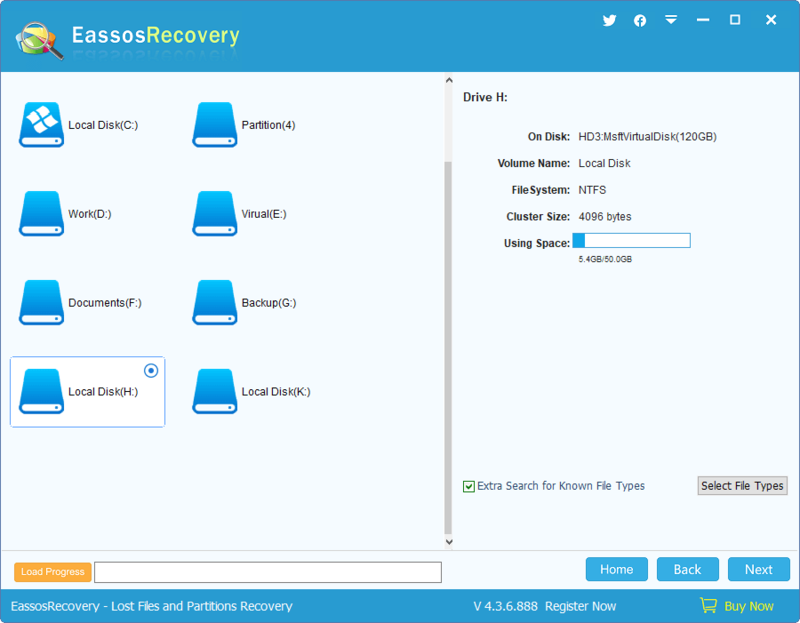 This function is carried out in 3 steps: select partition, select files to recover, and save recovered files. If file system of the partition you selected is FAT32 or FAT 16, there'll be a check box "Search for earlier deleted files" on the lower right corner. 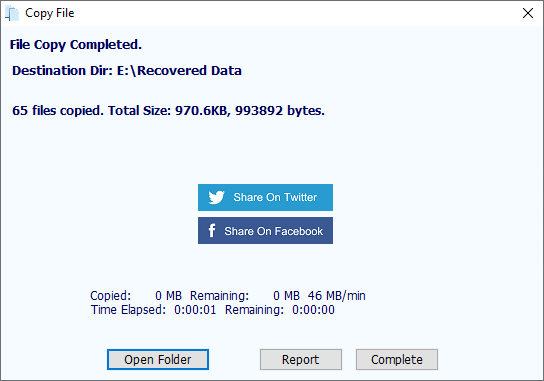 If you want to recover earlier deleted files, you can check it. Make sure that the selected partition is the one you want to recover files and then click "Next". 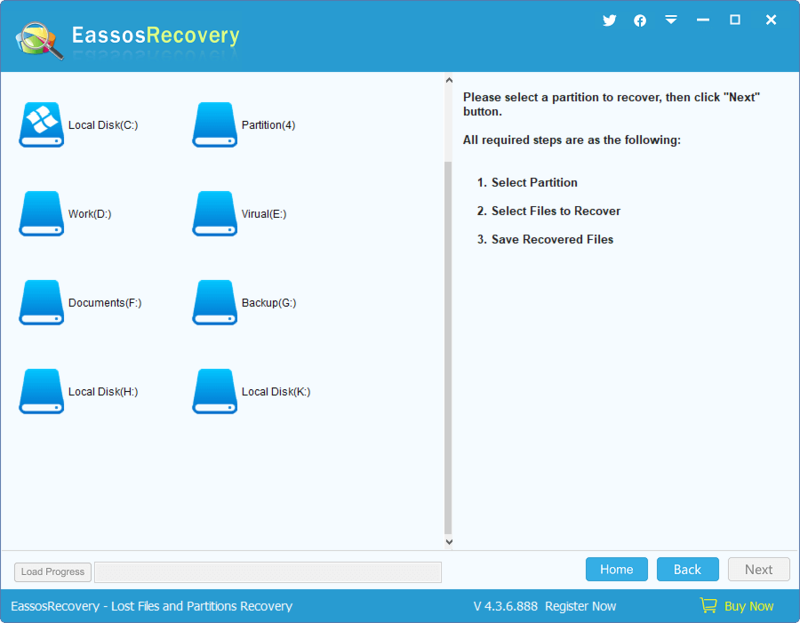 Eassos Recovery starts to scan the partition and enter next step "scan files to recover". 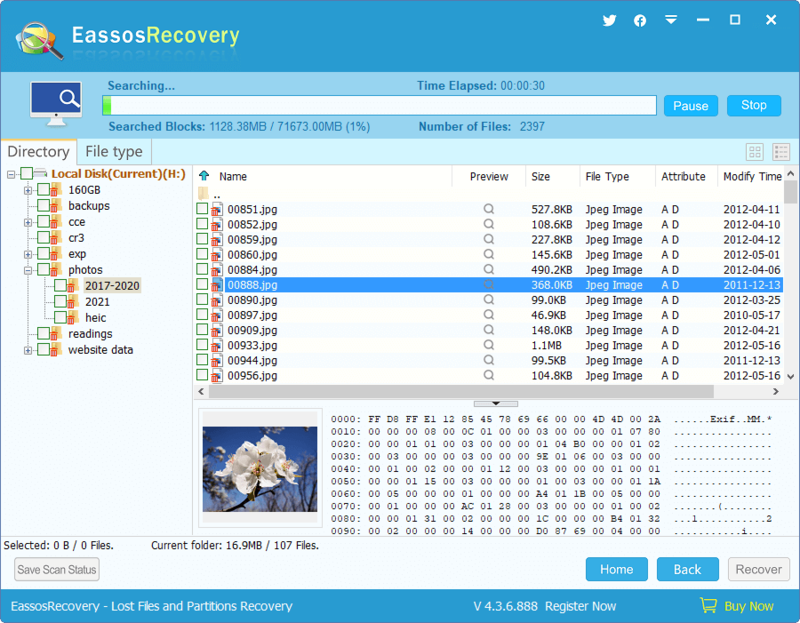 During scanning, Eassos Recovery displays deleted files it finds out and the way it displays files is similar to Windows Explore: file directory is on the left and file list is on the right part. There is a check box before every file or folder. Check all files and folders you want to recover and click "Recover" to prepare for copying files. If you click a file, there'll be a preview thumbnail of the file on the lower right part. 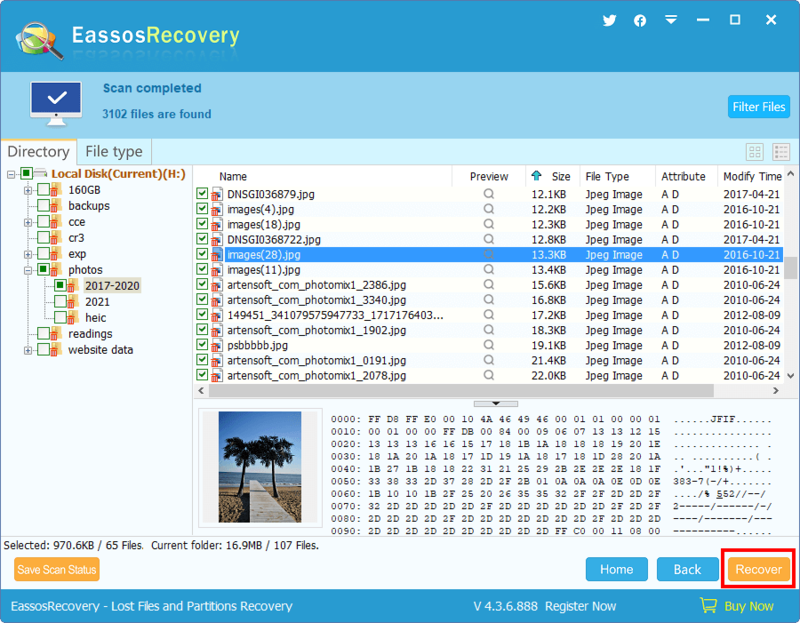 Eassos Recovery supports previewing pictures, text, video, audio files and Office documents, by which you can judge whether files can be successfully recovered. To copy files, you can click "Recover" button as well as use the context menu. 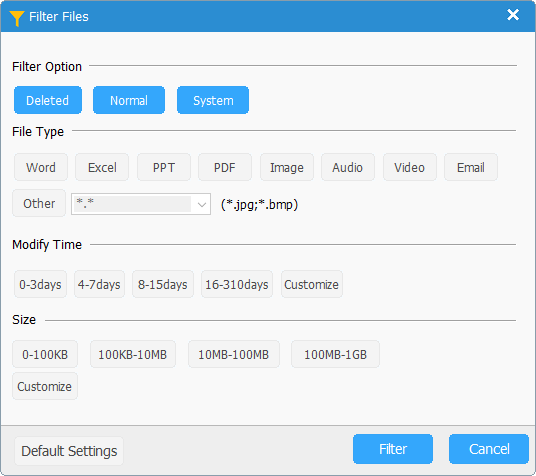 Select files that need recovering and right click mouse button and on the popup menu select the item "Copy to", and then select a target folder. For detailed operations, please refer to "Copy Files by Context Menu". Another way to copy files is to follow the wizard interface, i.e. 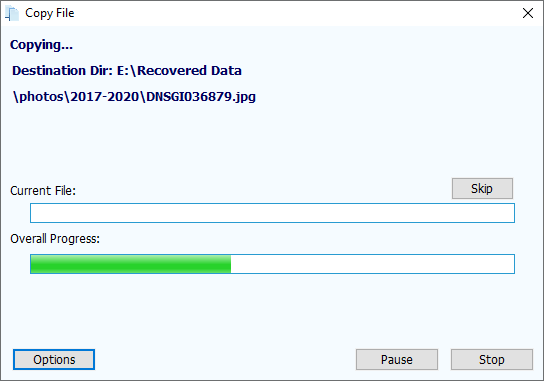 select needed files and click the button "Recover", and select a target folder. 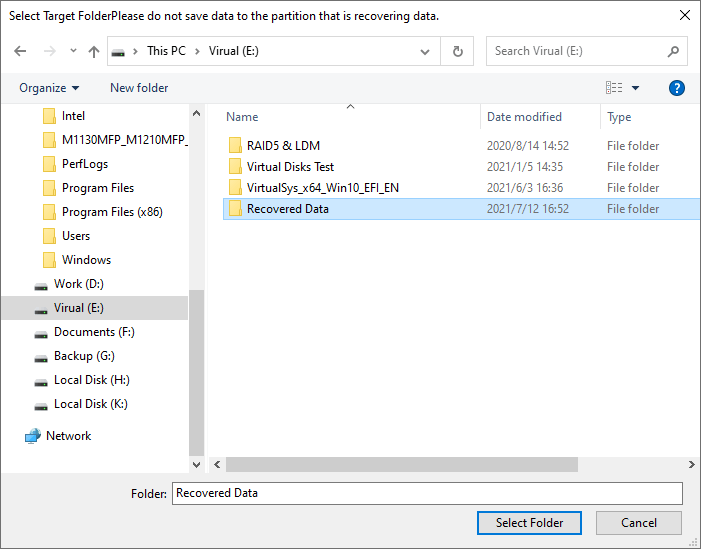 To avoid secondary data destruction, please do not set the target folder to the partition which is recovering data. 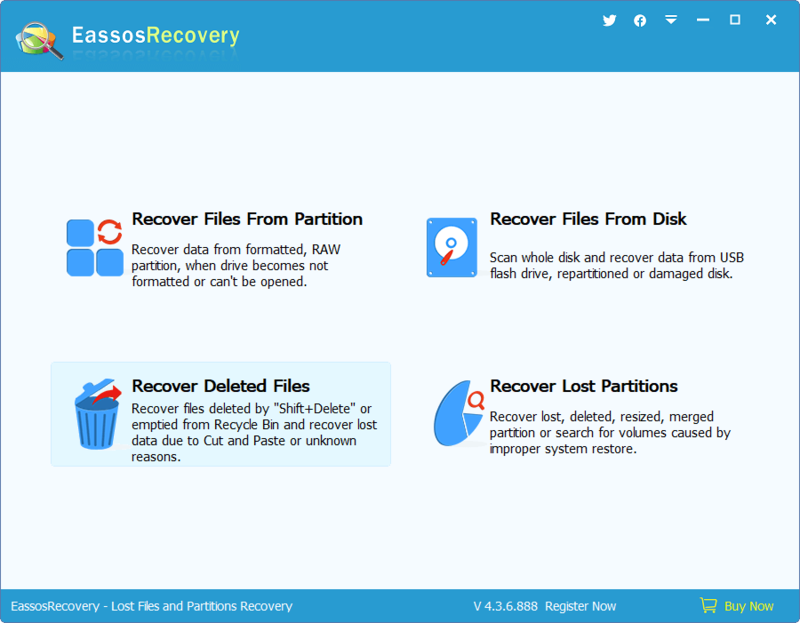 If you set the target folder to the partition which is recovering data, Eassos Recovery will pop up the following warning message. You need to select another target folder. 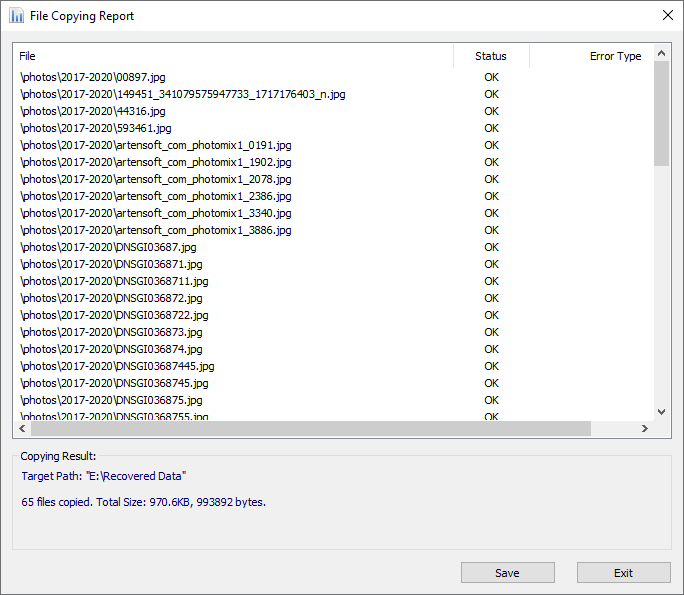 "Save Recovered Files" is shown as the following. You can click the button "Details" to see the "File Copy Report"; on the following dialog box click "Save" to save the report to a text file.